CONSIDERABLE: Areas with dangerous avalanche conditions exist on drifted upper elevation slopes. Beware of large unstable cornices and slopes overloaded by wind drifted snow. 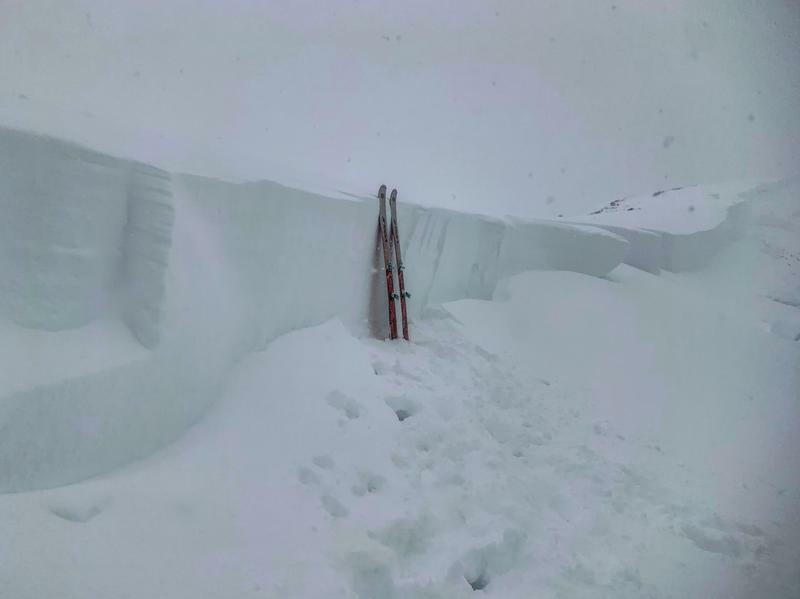 Dangerous human triggered avalanches consisting of wind drifted snow and failing on a buried persistent weak layer are likely in some places. You can find safer conditions, LOW danger, and pretty nice powder at lower elevations and on lower angled slopes. The Tony Grove Snotel at 8400' reports 2º F this morning and there's 74" of total snow containing 98% of average SWE for the date. It's 2º F, at the 9700' CSI Logan Peak weather station. South-southwest winds are increasing this morning and are currently averaging around 30 mph. High pressure will shift east of the area today. A weak storm system will pass through the region Saturday, with a much stronger cold front forecast to surge through Utah late Sunday into Sunday night. An active pattern is expected to continue through much of next week. Today in the Logan Zone, it'll be mostly cloudy in the mountains, with temperatures at 8500' expected to be around 14º F, and 11 to 18 mph east winds veering from the southwest in the afternoon. Wind chill values of -26º F at times! Tonight, temperatures will fall to around 1º F and 15 to 17 mph south wind will cause wind chills around 18º F below zero. Snow is likely tomorrow afternoon, with 1 to 3 inches of accumulation possible, high temperatures near 18º F and 14 to 17 mph south winds, veering from the east in the afternoon. 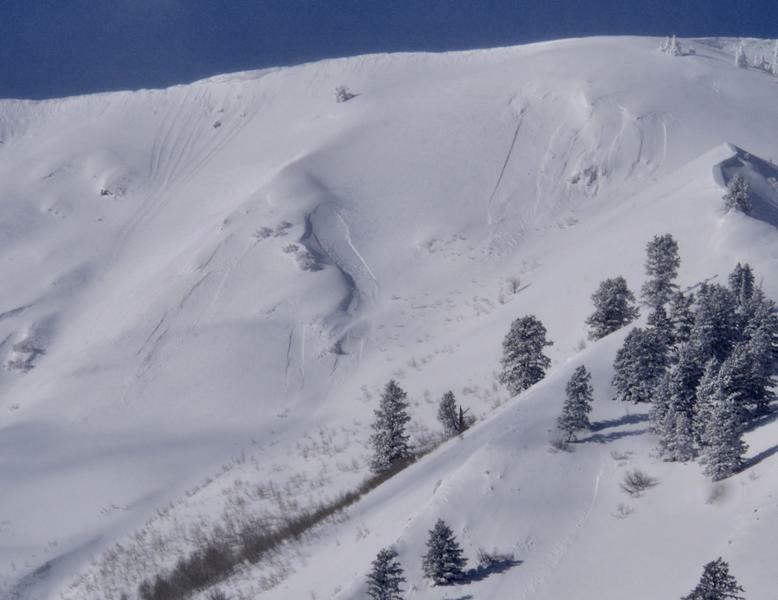 One snowmobiler is missing in an avalanche east of Beaver, UT near Circleville Mountain. The missing person is not wearing a transceiver. SAR operations are underway this Friday morning. Mark Staples is heading to the accident site and we will issue a report on this as soon as we can. I will update this forecast Saturday morning.